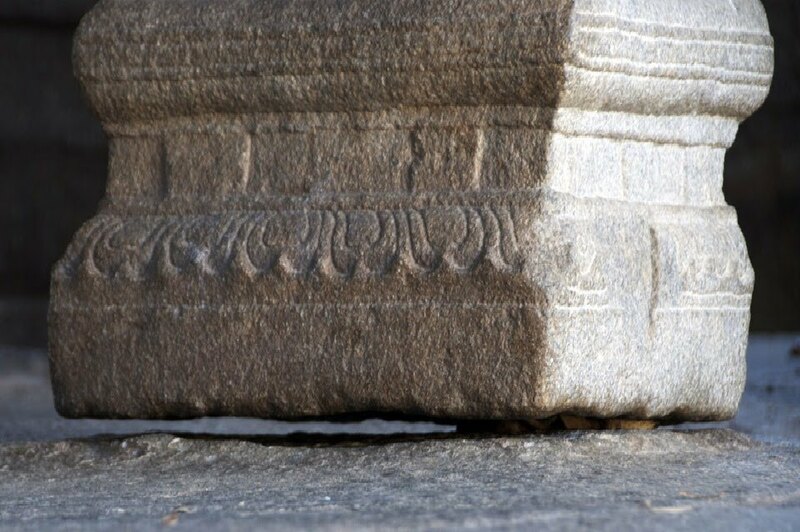 Lepakshi temple, also known as Veerabhadra temple, located in the small historical village of Lepakshi in the Anantapur District of Andhra Pradesh, India. The temple features many exquisite sculptures of god, goddesses, dancers and musicians, and hundreds of paintings all over the walls, columns and ceiling depicting stories from the epics of the Mahabharata, the Ramayana, and the Puranas. 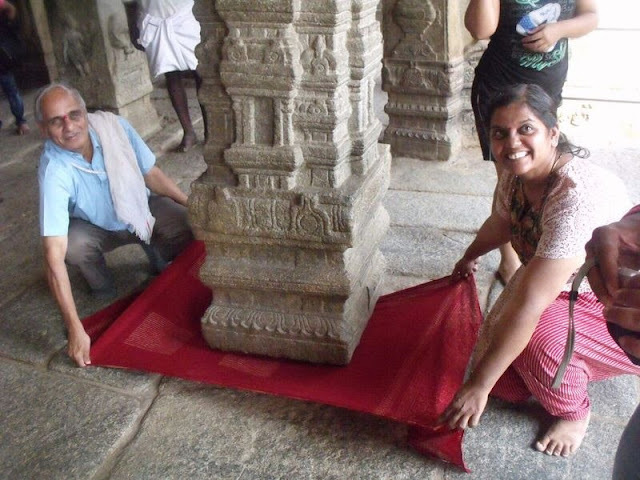 One of the most astonishing wonders in this temple is, among the 70 stone pillars, there is a monolithic pillar hanging from the roof of the Veerabhadra temple barely touching the floor. This one is the best known and a tribute to the engineering genius of ancient and medieval India’s temple builders. Visitors can pass objects such as paper, towel, etc in the gap between temple floor and the bottom of the pillar. People who come to the temple strongly believe that passing objects under the pillar brings them prosperity and peace of mind. Hanging pillar is a bit dislodged from its original position. It is said that during the British era, a British engineer tried to move it in an unsuccessful attempt to uncover the secret of its support. 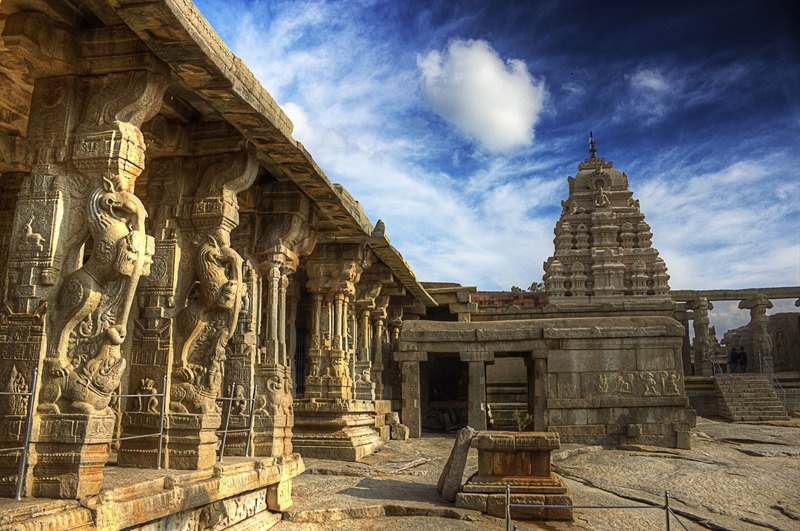 The temple was built for deity Veerabhadra in 16th century by the brothers, Virupanna and Veeranna, who were initially in the service of the Vijayanagar kings. However, Puranic lore has it that the Veerabhadra temple was built by the sage Agastya. 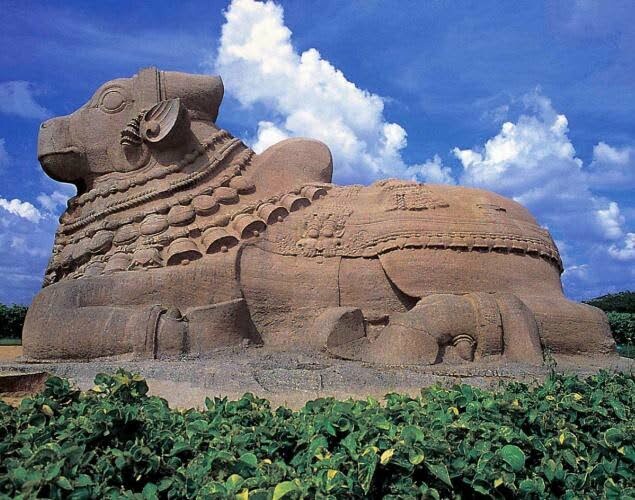 It has idols of Ganesha, Nandi, Veerabhadra, Shiva, Bhadrakali, Vishnu and Lakshmi. Another legend gives the town a significant place in the Ramayana. This was where Lord Sri Rama met the huge mythical bird 'Jatayu' whose wings had been struck by the king of Lanka Ravana(Lankeswaran) who was on his way back home with his hostage Sri Sita Devi, wife of Sri Rama. Sri Rama said compassionately to the wounded bird ''Le Pakshi'' (Arise bird in Telugu). Hence the name LePakshi.